Set your career goal in Vetforce. Now that you understand what Vetforce is, let’s take a look inside the online Vetforce training program. We show you how you can register online, connect with other learners, and complete your training toward certification. The first step to get started is to register on trailhead.salesforce.com/veterans. Click Sign Up to access the registration form. Complete the information about yourself. Provide your email and password. Select your country and region or state. Select your branch of service and military affiliation. Let us know how you heard about Vetforce. 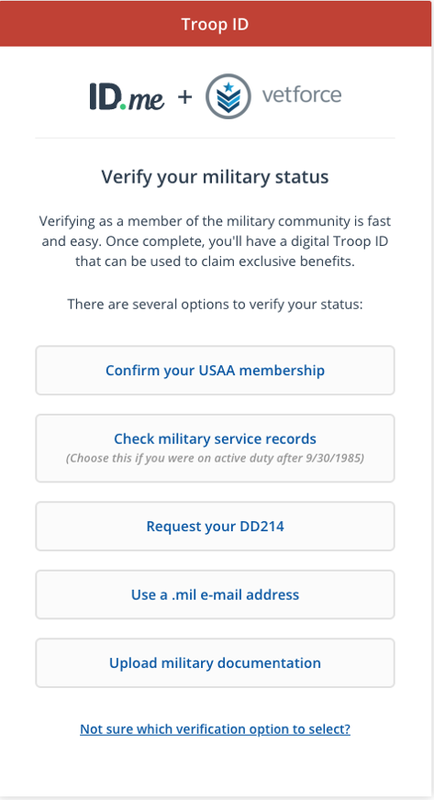 Finally, click Verify with TroopID to confirm your military status. Click Submit Registration. For non-US military members, submit the registration and we will contact you to verify your status. After registering, you will receive an email with your Vetforce account information to get started. When you access Vetforce for the first time after registering, you are given more information about the program, an overview of benefits, and then it’s time to select a goal. 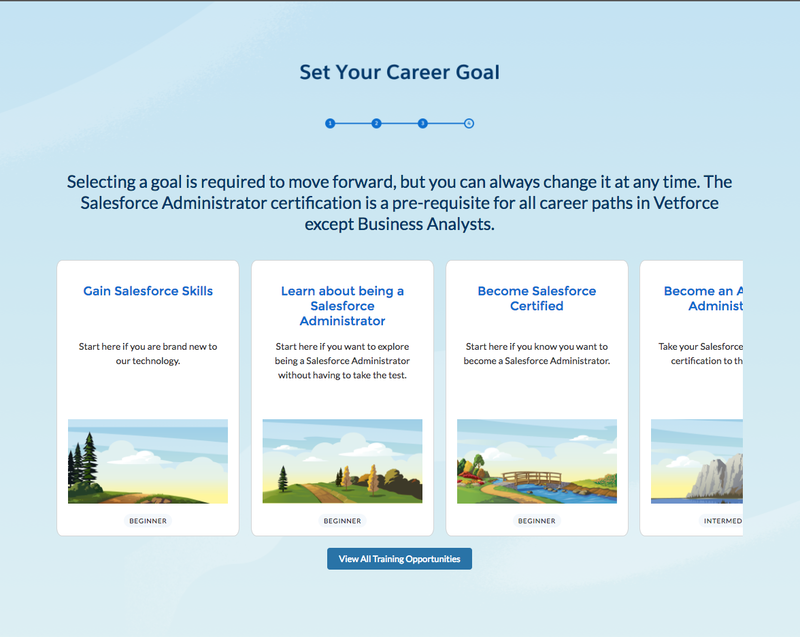 Vetforce features several paths to select from: Salesforce Administrator, Salesforce Developer, or Business Analyst. Each one includes specific training to get you ready for certification. Selecting a goal is required to move forward, but you can change it at any time. The Salesforce Administrator certification is a prerequisite for all intermediate and advanced career paths in Vetforce. As you become certified, you unlock additional, advanced goals. You can also learn more about the goal before you set it. 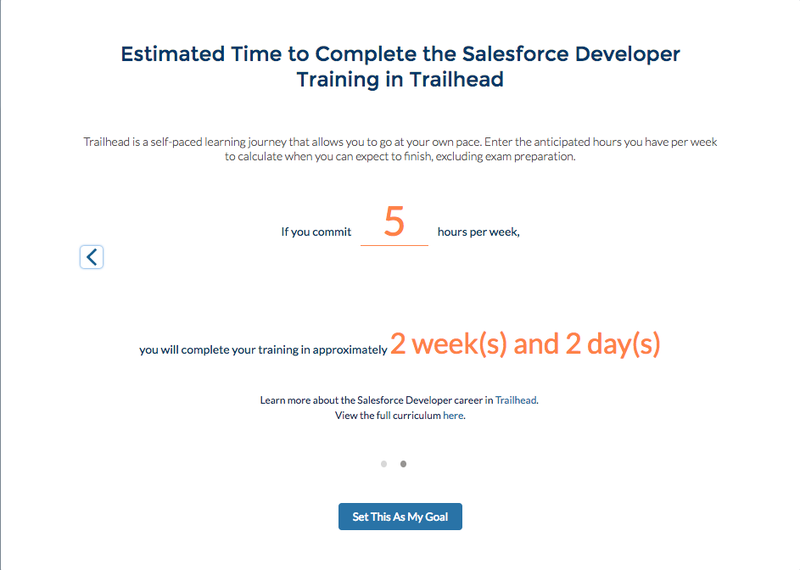 When you click a goal you’re able to estimate the time you need to complete the Trailhead portion of your training. Enter the number of hours you can commit to the program each week. The calculator then shows approximately how long it will take you to complete your training. Since Vetforce is self-paced, this planning tool is just for you and your own tracking. It won’t affect your ability to complete your goals. You can also preview the Trailhead Trailmix designed to prepare you for the certification exam. Think of a Trailmix as a playlist, but of learning modules, projects, trails, and superbadges instead of songs. To learn more, check out our Trailhead basics module. Feel comfortable with the coursework, timing, and goal? Click Set This as My Goal. Now it’s time to build your profile! Complete a little information about yourself and upload a profile photo. Add your LinkedIn Profile if you want. This profile is visible to all other Vetforce members—a great way to begin building your professional network. With registration complete, your goals set, and your profile populated, you’re now officially in the Vetforce learning community! Vetforce is built on the Salesforce Platform, so you can immediately get familiar with the same system you’re learning to administer or develop. From the Home screen in Vetforce, you can see a visual progress bar of your training progress. 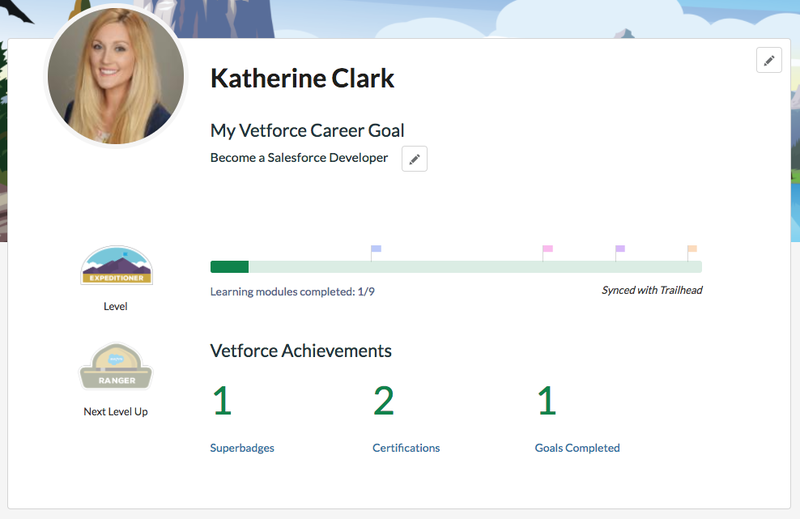 You can also view your Vetforce Achievements, including the number of badges you earned for each module you complete on Trailhead, and certifications. Click the edit button to update your Vetforce Career Goal at any time.